Find Denver, NC Homes for sale. View Photos, Maps and MLS Data Now! Come Get It While It Lasts! MLS#3491425. EXP REALTY LLC. Minutes to the new Publix Grocery Store on Hwy 150 or a fast commute to Charlotte & the airport from Hwy 16. MLS#3486514. EXP REALTY LLC. Wood Ridge - Tranquility at its finest! Prime location & MOVE IN CONDITION! MLS#3497285. EXP REALTY LLC. 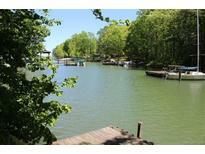 Deep water with views of the lake for miles.. MLS#3498668. Forward Realty Inc..
Additional photos will be added by the end of the week! MLS#3498847. Keller Williams Realty. We look forward to meeting you! MLS#3498552. Lennar Sales Corp.
We look forward to meeting you! MLS#3498547. Lennar Sales Corp.
Piped for a central Vacuum, just needs unit. MLS#3498047. Lake Norman Realty, Inc. Perfect summer home & move in ready! NO HOA. MLS#3494168. ProStead Realty. Pier with Covered Dock & Boat Lift. MLS#3497597. Keller Williams University City. If you are an avid golfer or the weekend warrior, this beauty is sure to impress! MLS#3493393. Keller Williams Realty. Two minutes to Hwy 16, 10 minutes to I-485, quick commute to downtown Charlotte or Charlotte Douglas Int'l Airport. One year home warranty! MLS#3494133. Lake Norman Realty, Inc..
Nixon Heights - This is the ideal opportunity for anyone looking for a ranch home on Lake Norman. MLS#3390638. Scott Knox Properties LLC. Cedarbrook Estates - Convenient location off of NC 16. MLS#3495376. Southern Homes of the Carolinas.